In 2014, Jay Carlisle, the research director at the Intermountain Bird Observatory, placed a satellite transmitter on a female long-billed curlew captured on the National Elk Refuge near Jackson. Researchers named the bird AJ, a standard two letter code that also served as a tribute to a volunteer on the project. Carlisle watched AJ, via her transmitter, as she flew to Utah where she stayed for more than 10 days before the big push where she flew to her wintering ground south of Mazatlán, Mexico. 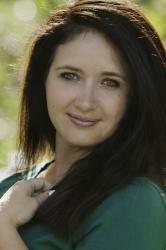 The next year researchers put a transmitter on AJ’s mate. Now researchers are tracking six long-billed curlews that breed in Wyoming. Carlisle plans to add another 11 this summer. The data from the Wyoming birds, as well as similar information collected from long-billed curlews fitted with transmitters in other states like Idaho and Montana, are offering insight into how the birds respond to landscape changes from agriculture, development and climate change. It is also providing important information about where the birds go when they leave western states for winter. “We’re within a few years of having a cursory idea of the entire migration of the whole population,” Carlisle said. The more scientists understand the birds and how humans impact success, the easier it is to create management solutions that will protect the birds. In Wyoming, the birds are a species of conservation concern, but there hasn’t been enough baseline data on the populations to know if they are declining. Long-billed curlews are small birds usually weighing less than two pounds and are identified by their long beaks — a male’s can grow up to more than four inches long and a female’s can reach more than seven inches in length. The birds arrive in Western Wyoming in March and April. Depending on breeding success they may stay until July. 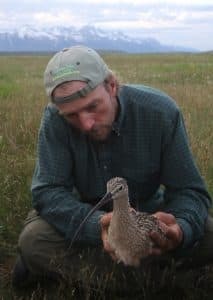 Carlisle, who is also an associate research faculty member at Boise State University, has studied long-billed curlews in Idaho for nine years where the curlew population is declining. Carlisle wanted to know what impacts breeding success for the birds and pinpoint habitat and management strategies that help curlews. He also wanted to better understand their migration routes. 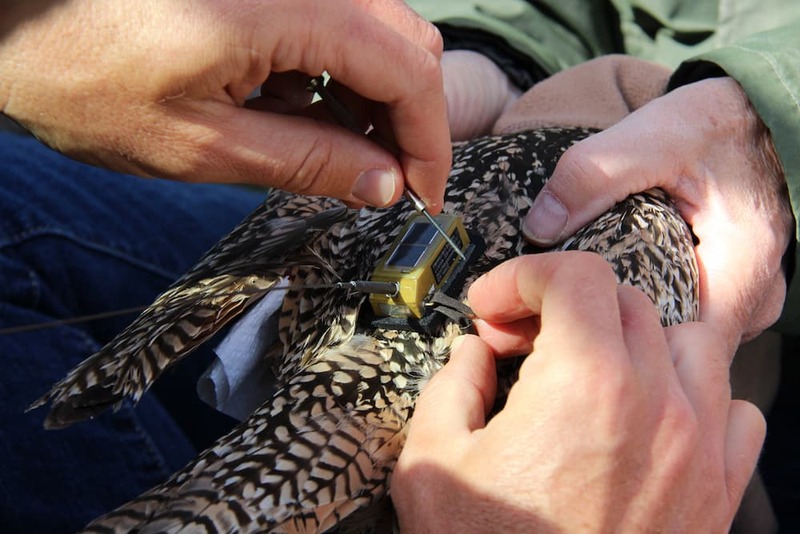 Satellite transmitters have been around for about 20 years and used on large mammals to track movement, but it’s only recently that technology has allowed for devices small enough to be used on species like long-billed curlews, Carlisle said. Carlisle’s efforts in Idaho generated interest for similar studies in Wyoming and Montana. In Wyoming, AJ’s transmitter was funded by a grant from the Meg and Bert Raynes Wildlife Fund and the data created enough interest from agencies and other organizations for more funding. By the end of the summer researchers hope to track almost 20 birds from the Jackson and Pinedale areas for a total of 60 birds from Wyoming, Idaho and Montana. It’s a sample size that will start to show patterns and variations in where and how the birds migrate, as well as the landscapes where the birds breed and how predators and human use impact the curlews at different sites, Carlisle said. Curlews use a variety of habitats for breeding and have been found to nest in alfalfa and wheat fields where they can hide, as well in open corn fields, or wet grasslands and dry and non-native grasslands, Carlisle said. To track the birds, Carlisle has to find them. 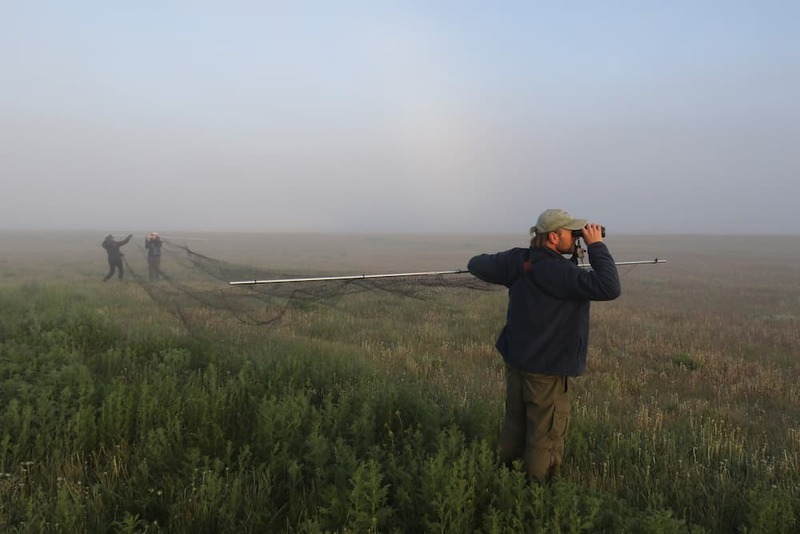 Researchers drag a large, spread-out net across a field and hope it will flush the birds upward into it. While the birds are outfitted with the transmitter and banded, someone watches the nest to make sure no predators attack it while it’s unprotected, Carlisle said. Already Wyoming is providing important information that could help birds in other areas. Near Pinedale, where Wyoming’s largest population of long-billed curlews lives, the birds have a high hatch rate of up to 45 percent. (A typical success rate for curlew nests is usually around 35 percent). If by looking at the behavior of birds at a variety of sites, Carlisle can identify why some areas, like Pinedale, foster higher nest success rates, land managers can use the information when making decisions about development or offering incentives for private landowners to create long-billed-curlew-friendly fields. “If we can understand the species before it gets to requiring federal protection, we can create working solutions,” Carlisle said “Hands down that’s what interests me most in the research.